In the paper the analysis of labor productivity is carried out and also the ratio of increase in productivity of work and the salary on the example of the organization is revealed. The factorial analysis of labor productivity is carried out. 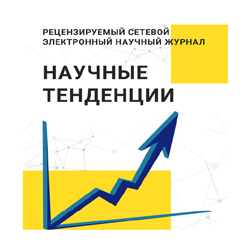 Indexes of increase in productivity of work and the average monthly salary have been defined and also the coefficient of a ratio of growth rates of labor productivity and the salary is defined. On the basis of data of the organization the corresponding conclusions are drawn. Key words: labor productivity; efficiency; analysis; index; salary; growth rate. In the paper the entity and characteristics of work forces are considered. Ways of increase in efficiency of use of work forces in the Soligorsk branch of JSC “Slutsk Cheese-making Plant” are justified. Based on data of the organization the appropriate conclusions are drawn. Key words: manpower; factorial analysis; profitability of personnel; efficiency; increase reserves. In the article the research of management accounting as object of a trade secret is conducted, the main problems connected with information of management accounting (the internal reporting) representing a trade secret are defined the main legal bases of ensuring confidentiality of similar information are investigated. Key words: management accounting; trade secret; information; confidentiality.